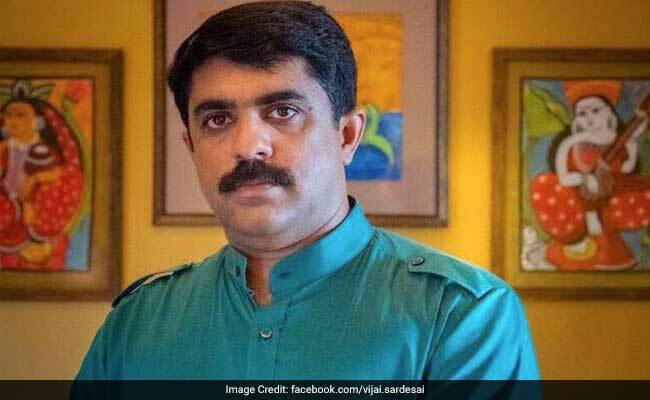 Vijai Sardesai from regional party, Goa Forward, is largely responsible for the BJP's winning math. Manohar Parrikar was sworn in this evening as Chief Minister of Goa, a post he has already held three times. His swearing-in today was allowed by the Supreme Court, which asked him to take a floor test within 48 hours; usually, 15 days are allowed. The decision for an urgent vote is based on the Congress claiming in court that it was deprived, despite getting the most seats in the idyllic coastal state, of being allowed a chance to form the government. Goa has 40 seats - the majority mark or target for a political party is 21. The Congress won 17. The BJP won 13. However, it moved at top speed to win the support of two small regional parties - Goa Forward and the MGP or Maharashtrawadi Gomantak Party, who have a crucial three seats each and help the BJP to close the gap (it has two independents backing it as well). The latter was an ally of the BJP - their partnership was cancelled just before the election. Goa Forward, on the other hand, is led by Vijai Sardesai, often publicly disparaged by Mr Parrikar as a political fixer. And it is Mr Sardesai who is largely responsible for the BJP's winning math. He was sworn in as a minister today. Mr Parrikar resigned as Defence Minister over the Holi weekend after his party's newly-elected legislators unanimously said they wanted him as Chief Minister. The MGP also made it clear that its support was contingent upon Mr Parrikar serving as head of the alliance. On Sunday evening, Mr Parrikar and his cabinet colleague Nitin Gadkari were at a five-star hotel, operating under pressure - they were still three short. The MGP had signed on; Goa Forward had not. Then along came the party's head, Mr Sardesai - and the needle for the BJP shifted dramatically. Manohar Parrikar and his colleague Nitin Gadkari held a meeting under pressure on Sunday. At a different five-star hotel, the Congress was squabbling over who should be elected presumptive Chief Minister. The BJP had checked that box with Mr Parrikar and had already moved onto negotiations with other parties. The Congress squandered five hours on who its leader would be; state president Luizinho Faleiro, former Chief Ministers Digambar Kamat and Pratapsingh Rane were potential candidates for the post, but each camp rejected the other. By evening, frustrated Congress leaders stepped out of the hotel, with legislator Jennifer Monserrate blaming the party's "Delhi leaders" for costing the party the opportunity to make a credible bid to form the government. When news filtered in that the BJP, along with supporting MLAs, had left to meet Governor Mridula Sinha to formally stake claim, the Congress 'unanimously' offered to three-time MLA Chandrakant Kavlekar, who appeared shocked at the sudden elevation. A bitter Digvijaya Singh, handling the Congress effort in Goa, accepted the responsibility for his party losing the opportunity to form a government, but blamed Independent MLA Rohan Khaunte and Mr Sardesai for ditching the party. Sources say that on Saturday night, hours after the results of the election were declared, Mr Singh met with Mr Sardesai, who was amenable to backing the Congress, as long as it picked Mr Kamat for Chief Minister. Mr Singh was non-committal, and allegedly did not share this information with his MLAs the next day - a concealment that has cost the party heavily. 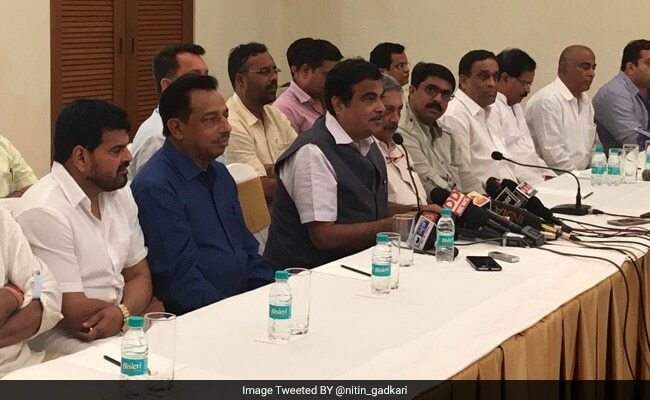 Meanwhile, Mr Gadkari landed in Goa late on Saturday night, mandated by the BJP's parliamentary board or top decision-making body to ensure the party led the state. He met the MGP for several hours and the party agreed to back the BJP. That session ended at around 4 am and after that, Mr Gadkari met with Mr Sardesai of the Congress Forward. Mr Sardesai left that meeting unhappy. On Sunday afternoon, he was sent an emissary by Mr Gadkari, persuaded to return to the five-star resort, and the deal was sealed, allegedly on the basis of Mr Sardesai being guaranteed three ministers in the cabinet. Mr Sardesai has hurled darts frequently at Mr Parrikar, during both his earlier term as Chief Minister of Goa and then as Defence Minister. When Prime Minister Narendra Modi signed the deal with the French government to buy Rafale fighter jets last year, Mr Sardesai tweeted that Mr Parrikar was seen selling fish at a government stall in Goa around the same time -a jibe to discredit Mr Parrikar's involvement in and commitment to the Defence Ministry. But on Sunday, Mr Sardesai claimed that Mr Parrikar has remarkable administrative skills. Politics ensures quick turnarounds from A-Z -or vice-versa.